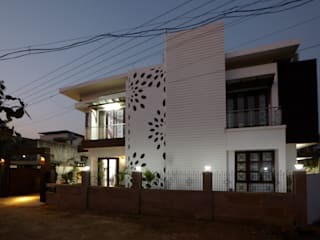 M B Malewar Architects & Designs. (Formerly M. B. Malewar & Associates) was founded in 1986 by Late Shri. 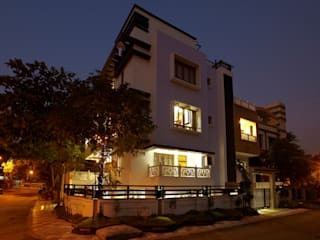 Murlidhar Bajirao Malewar is today recognized as a progressive firm offering Architectural, Structural, Utilities Services based in Nagpur, INDIA. “Whatever the mind of a man can believe and conceive, it can achieve” W Clement Stone’s timeless quote comes to mind as we look for inspiration to design. We believe it's a company of leaders, people who can deliver a powerful design philosophy built on the principle, "dreams + ideas + buildings." It's a principle that M B Malewar established back in 1986 when he founded M B Malewar & Associates. It's what he believed then, and it's what we still believe today. 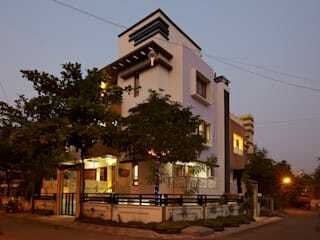 The very reason for a building – the clients' vision – is the focal point of any design solution. 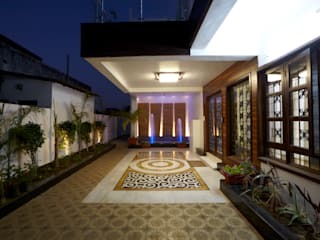 M B Malewar Architects & Designs are bound to a philosophy that places people at the center of our work. We build relationships – ultimately a shared understanding that reflects the client's mission, culture, community and ideals. Although our designs may address many people, many places and many cultures, our work speaks to one human being at a time. Our design philosophy distinguishes between buildings that are merely built, and buildings that are lived in. 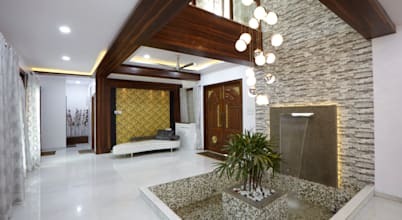 With those ideals in mind, M B Malewar Architects & Designs has made a commitment to advancing the way the world designs, builds and uses its buildings. Sustainability plays an essential role in everything we do. It's our personal commitment to creating solutions that contribute to human well-being and enhance the long-term health of our planet. The building must fulfill the functional and economic requirements the owner intends it to serve. At the same time, it must evoke a positive emotional response from both its users and the public at large. "God is in the details" is a phrase attributed to Mies Van Der Rohe and revered by architects as we endeavor again and again to do the right thing. Architecture is order, and this order carries throughout the building down to the smallest corner. Detailing expresses the "how" of buildings and when done with great care and skill reinforces the "why." It can express the honesty not only of the architecture but also of all those involved in the making of it. 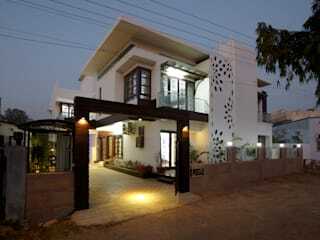 M B Malewar Architects & Designs philosophy is built on the dual concepts of client service and design excellence. In fact, we view design itself as part of our service mantra. Successful projects align strategy, architecture and planning with the widest, most imaginative definitions of the client's vision. Our design philosophy revolves around how well a building, inside and out, reflects history, culture, community and vision. There is a larger social context, an inherent commitment to designing places that will make a lasting societal contribution. “There is room for both tradition and innovation in architecture”. Our designs attempt to capture the entire picture. We engage human emotion and human spirit. Our philosophy uses proven approaches that generate ideas and inspire collaboration with our clients before, during and after the project is completed. Working together, we invest in buildings that respect the past, yet are rooted in the present and directed toward the future. M B Malewar Architects & Designs knows the value of forging relationships—with clients, colleagues, and the environment. From the first client meetings to ongoing reviews of how buildings are working for their occupants and communities, we continue to foster a shared trust that sparks passion and innovation. 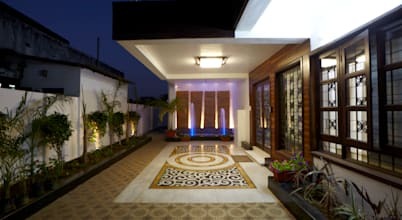 M B Malewar Architects & Designs just as much pride in keeping relationships as we do in establishing them. We consider it an obligation and a privilege to serve our clients long after the work is done. We are a multi-disciplinary integrated design office committed in offering clients a contemporary and innovative approach to facilitate design creation. In over 24 years of Professional Service. We have designed and constructed Office Buildings, Hotels Buildings, Hospital Buildings, and Commercial Buildings, Residential Apartments, Signature Residences and Production facilities. The vision of our clients is the very reason for a building and the focal point of all architectural solutions. Our multi-disciplinary teams place the client and end-users at the center of our work. We build a shared understanding that incorporates a project's mission, culture and ideals, and where design and innovation can easily bloom. Buildings that respect the past, are rooted in the present, and guide us toward the future, are achieved through the thoughtful blending of design, ideas and place. Interior design is about so much more than just quality space. It is about creating lasting impact while recognizing the importance of environment in the overall success of an organization's culture, relationships, attitude and bottom line. Winning designs are at the very core of our practice. Yet we effectively blend intensive research, planning and ideas to create environments that promote strategic objectives, enhance cultures (be it business or home) and support those who work in and benefit from the environment itself. Urban Design is concerned with the integration of multiple perspectives, disciplines and expertise to develop frameworks and designs for existing and emerging urban areas. Through thoughtful analysis and creative thinking, urban design establishes the vision, identifies the means, and develops designs that lead to vibrant, successful and engaging places. Spanning scales from the individual site to the region, urban design is as much a mindset as a discipline. It is about employing both innovative and time-tested methodologies to pull together disparate factors and arrive at strategies to guide development, promote economic growth and create a great public realm.